This section is an overview of financial practice, but you must be aware of the precise practice in your State – finances are covered in the Management Qualification training. The financial requirements for each State Girl Guide Organisation are governed by the relevant State “Associations Incorporation” Acts and regulations, and their respective Constitution. The District Manager is responsible for seeing that Unit accounts are properly kept and where required by State policy submitted and audited annually. (Unit accounts are not audited in NSW & ACT but are typically checked by the District Manager each term.) The Region Manager is ultimately responsible for the finances of all her Districts, including all Units, shop and properties, and so needs to have an overall picture of what is happening to ensure all accounts are operating within healthy limits. All people handling public money must be meticulously careful. A person who is not confident and competent in managing money should not be pressed to accept the position of Treasurer. If you have a Leader who is not confident with money you will need to offer her extra support. For instance another adult volunteer may complete the financial paperwork and banking with the Leader overseeing this work. The financial year is the calendar year and so starts on 1 January. You should start putting together your budget for the following financial year in the previous term four. The first step in putting together a budget is to confirm what you want to achieve for the following year, establishing your plans and then estimating the resulting income and expenditure. At Region level income might include grants, retail sales, property income and net income from Region events etc. Expenditure may include general expenses (phone, travel, printing), retail stock purchases, property costs, conference and event costs, PR and marketing costs and audit fees. At the time the annual budget is prepared there should be a review and updating of your plan; see the next chapter for information on planning. support youth members to attend camps and events. The premiums for personal accident insurance and for public liability insurance are paid from membership fees. Membership fees are paid on joining, then annually by youth members, adult members and Trefoil Guild members and billed directly from the State Office to the member’s home address. Renewal notices are sent out in advance and the membership fee is payable by the due date given on the invoice. Membership fees are used to fund strategic Guiding projects, insurance costs, State Office and services and WAGGGS membership. Unit subs are paid by Unit members either per week, per term or annually, and administered by the Unit Treasurer or a Leader. The Unit Leader in consultation with the District Manager determines the rate for the Unit subscription. The subs cover the week-to-week running expenses of the Unit, e.g. materials, badges, resources, Leader out of pocket expenses and most Unit activities. Some Leaders allow Patrols to charge their members a nominal amount, for example twenty cents each week to cover some Patrol expenses. Any amounts collected in this way should be treated as part of the petty cash system. Voluntary contributions may be paid by families to the Support Group to contribute to District running expenses. The practice is administered by the Support Group in consultation with the District Manager. Voluntary contributions but not levies are tax deductible (official tax deductible receipt required) and the ABN number is available from the State Office. Depending on the preferences of the leadership team, views of the Support Group and the affluence of Guiding in your area, charging a levy (in some States called a District fee) might be an alternative to spending time fundraising. Charging a reasonable levy can ensure families place an appropriate value on Guiding and that Leaders have more time to devote to program activities. Most Regions provide some assistance with Leader/Manager travel or event attendance costs, depending on the availability of funds and the number of applications annually. States may have some funding to assist girls and Leaders/Managers to attend trainings, camps and other events. Details of the funds are available on the State websites and are advertised through the State newsletters from time to time. Guide Lines sets out the national funds available for youth and adult members to attend overseas events, training events and take part in special activities or projects. The applications forms for each are available from State Offices. 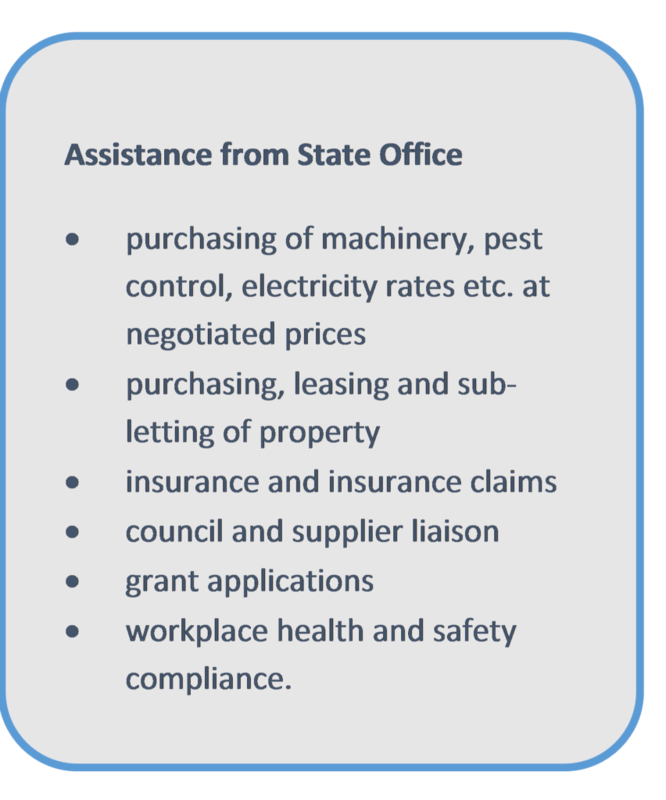 External funding is available from a variety of sources including government (local, State, national), charitable trusts, corporations and community organisations. Some funding bodies and local councils offer grant workshops and attending one of these can be valuable. Discussions on grants should happen at District or Region level and normally be coordinated through the State Office. 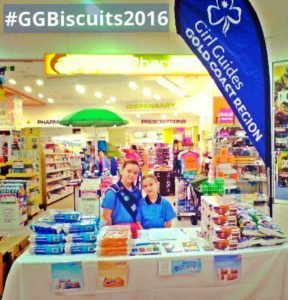 Applications for government and other grants must meet the requirements of the Sponsorship Policy of Girl Guides Australia. Some States have information on their websites about applying for grants and all States communicate available grants on a regular basis. Sourcing and applying for grants can be a discrete job for a parent who has good business writing skills. They can find and apply for grants, even if the final sign off is at Region or State level. Check with the State Girl Guiding Office for the correct procedures. Any grant applications must be documented thoroughly, vested in the name of SGGO and acquitted properly with appropriate reporting. Not all managers find record keeping easy- we all have different strengths. If this is not your strongest skill then find someone to help you set up a system for keeping your records. With a starting point it is then easier to maintain them. All managers and leaders are responsible for presenting their annual financial accounts for audit. However another skilled adult can be asked to record and maintain these during the year. The requirements for accounting vary between States; details of the relevant procedures are available on your State website. The Management Qualification training includes a substantial section on Managing Guide finances. Book-keeping involves the cash book, cheque book, petty cash book, receipt book, deposit book, bank statements and receipts for all payments. Most States have versions of these record books on their websites or they are available to purchase from Guide shops. If you have a changeover of Leaders you might need to support them until they develop their knowledge and confidence in handling book-keeping. The books can be checked regularly at each District meeting, so if there is a problem it is identified well in advance of the annual audit process. Ideally all accounts should be kept using electronic systems as this contributes to clarity, accuracy and transparency. The layout of computer accounting packages should conform to the auditor’s requirements or be accepted by them. However, where computer based systems are used print each month’s reconciliation. It is also prudent to regularly back-up and/or provide someone else in the District or Region with an electronic version of the accounts on a regular basis.